This item is currently on backorder. Orders containing this item will ship as soon as we have the 32 oz Optimum No Rinse Wash & Shine (ONR) in stock. Estimated ship date: 4/25/19. Perfect for detailing on the go, those living in apartment complexes, washing in the winter, mobile detailing, etc. The new Optimum No Rinse Wash and Shine (ONR) is another amazing product from Optimum. This remarkable formula has the ability to help you safely clean your vehicle's entire exterior without the need for rinsing down your paint afterward. The quest to improve the original ONR formula took Optimum over one year and countless hours of testing but the results are well worth it! To use this formula simply pour 1oz of the ONR into a bucket with 1 - 2 gallons of water and begin washing. This formula uses substansive polymers which bond to the paint and protect it while washing. They provide a much slicker surface than traditional shampoos and it allows contaminants to slide off the paint with ease. This process is very safe and a highly effective method to clean your vehicle with. When you are done the paint will have a freshly detailed glow, which is noticeably improved from the first formula. The ONR allows you to wash in the middle of winter, outside an apartment complex, inside your garage or while traveling. It can also be used as a quick detailer if you mix roughly one ounce of ONR with sixteen ounces of water. You can also be proud that this formula is environmentally safe and helps reduce water usage. All of these features have made the ONR a staple detailing product for both weekend detailers and professional detailers alike. Optimum No Rinse Wash & Shine Concentrate is the fastest, easiest, and most environmentally friendly way to wash any vehicle. Its proprietary polymers band to the vehicle surfaces and trap dirt to clean without rinsing and leave a very slick & glossy finish that is mar-free. Properly used you will no scratch vehicle surface. Follow with Optimum Car Wax for maximum protection, shine & slickness. 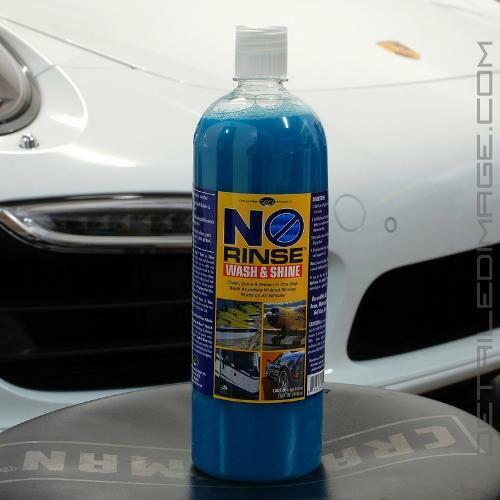 Optimum No Rinse Wash & Shine Concentrate can also be diluted to make the most effective Quick Detailer and Clay Bar Lube. Washing with Optimum No Rinse Wash & Shine greatly reduces the discharge of pollutants into storm drains, sewers and ground water. Optimum No Rinse Wash & Shine helps both commercial and individual users comply with the discharge guidelines established by the Clean Water Act and the Environmental Protection Agency. Add 1 oz. to 2 gallons of water in a bucket. Soak Optimum Microfiber Towel in the bucket and wash one section at a time till the area is clean. To use as clay bar lube, add 2oz. 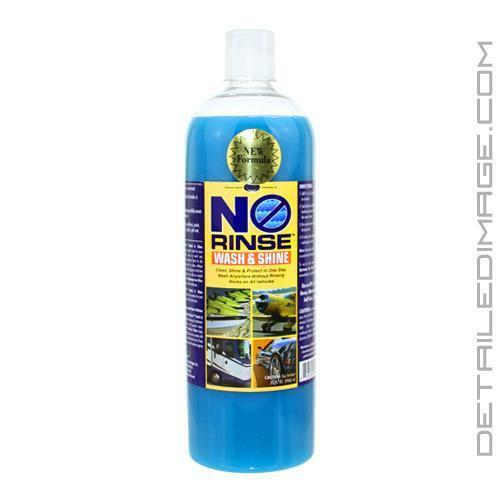 of Optimum No Rinse concentrate to 1 gallon of water. Use on RV's Cars, Trucks, Buses, Motorcycles, Marine, Golf Cars, Aircraft etc. Amazing and a "must have" product in your detail arsenal. Hands down one of the most economical and versatile products. 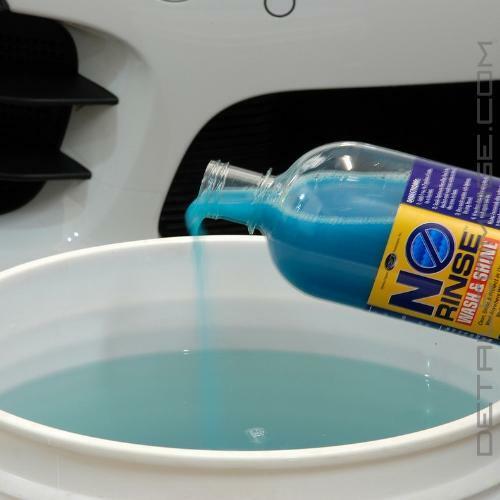 So if you are looking or in need of a wash-less wash, quick detailer, clay lube or even add a half or full cap full to your wash bucket to boost ya wash then look no further than ONR. I've been using ONR for awhile now,fantastic product! Keep car garaged, so if it has a light film of dust I can wash in the garage, spray ONR on let it dwell and wipe of filled by a light buff. It leaves the car glossy slick with UV protectent. Cons: wheels still need strong water stream and wheel brush to fully remove brake dust. This is about the only (and I wont say the word "negative") I can think of.